Companies within the PJG Recovery Group operate an IVA protocol which has been designed to increase transparency, openness and trust between IVA users, creditors and insolvency practitioners involved in the process. The IVA protocol is also the key to the smooth running of an IVA over the course of the usual five year period. The IVA protocol was designed over many months of cooperation and discussion between insolvency practitioners, debtors, creditors and members of regulatory bodies. 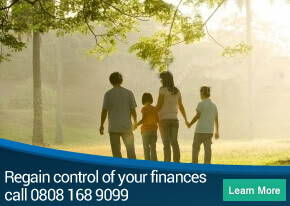 This ensures that the IVA works for everyone as a safe and fair method of debt management. There is a standing committee in place tasked with the responsibility of monitoring the IVA protocol closely and keep the entire system under review in the best interests of all involved. If you would like to learn more about our IVA protocol or if you would like to look over a copy of the IVA protocol yourself, please get in touch with our team here at PJG Recovery. Alternatively, if you would like to learn more about how an IVA could help you take control of your unmanageable debt, simply contact us by phone or email and speak to one of our Licensed Insolvency Practitioners today. Call us now on 0808 168 9099 or fill in our online enquiry form and one of our insolvency experts will call you back. We will discuss your situation with you ensuring that we fully understand your circumstances and what is important to you; we will then discuss your options with you and advise whether a Trust Deed is the most suitable debt solution. One of our Insolvency Practitioners will then guide you through the process, making sure it is as hassle-free as possible.